This June, KUNM teams up with Nonsequitur and the Harwood Art Center to host Aether Fest, an exciting new festival of international experimental radio art. Now, consider those last three words and how rarely they are ever heard together: Experimental Radio Art. You’d be forgiven for being mystified by this phrase. In many countries there is a tradition of artists making new works for radio (sometimes called Ars Acustica or Hörspiel), but the concept remains largely alien in the US. Yet there is a global network of intrepid radiomakers who persist in pushing the boundaries of the medium, creating wildly imaginative audio art that challenges accepted notions of what radio is and does and might be. 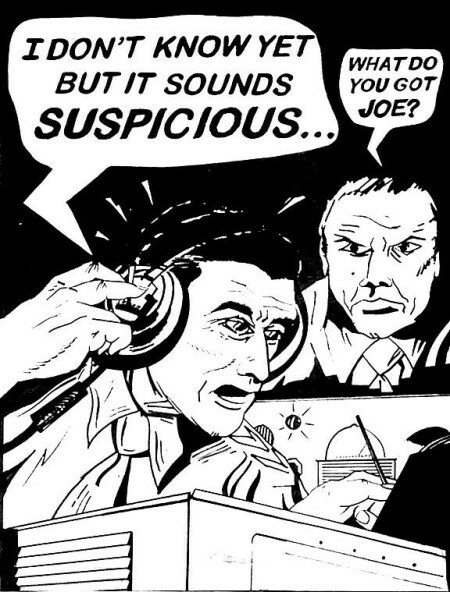 Some manage to find their way onto the air (remember Joe Frank, or the New American Radio series?) but most remain unheard in America. Aether Fest offers a rare showcase for this adventurous work, including new projects by three local artists commissioned especially for this event. So just what is Radio Art? Well, it’s not really “music,” though it often includes musical sounds. It’s not quite “radio theater,” though it may be dramatic. It isn’t exactly “spoken word,” though it can be very poetic. It isn’t what’s usually considered “documentary,” though it might incorporate sounds and stories from real life. It’s not about DJs spinning discs, but it could recycle previously broadcast material in a new form. It generally avoids established radio genres, except to subvert them. Radio Art can be beautiful, noisy, abstract, moving, humorous, profound, or confusing. Think “cinema for your ears” (if you must). But forget the Hollywood blockbusters, or even those independent features and documentaries that still behave like “normal” movies. Instead, think of those weird little art films with little or no commercial potential, made by crazy people with no money who are just obsessively in love with light and motion. Now, close your eyes and open your ears. You could read up on the subject (we recommend Radio Rethink, Radiotext(e), and Wireless Imagination for starters). Better yet, listen on Sunday and Thursday nights in June and experience it first hand. And don’t forget to visit Transmission, a companion show of visual art on the theme of radio at the Harwood Art Center in downtown Albuquerque.